When your teeth are relatively healthy but you’re looking to change something about their appearance, it is a good idea to see a cosmetic dentist. There are many ways that cosmetic dentists can help. If you have any missing teeth, for example, you may wish to learn more about the benefits of dental implants. In the case of misshapen, cracked, or chipped teeth, porcelain veneers are a viable solution. Veneers are thin shells made from porcelain and are carefully molded to fit over a damaged tooth. In many cases, the damaged teeth are shaped down to fit the veneer but because of modern technology some veneers are thin enough to be placed on the tooth as-is. 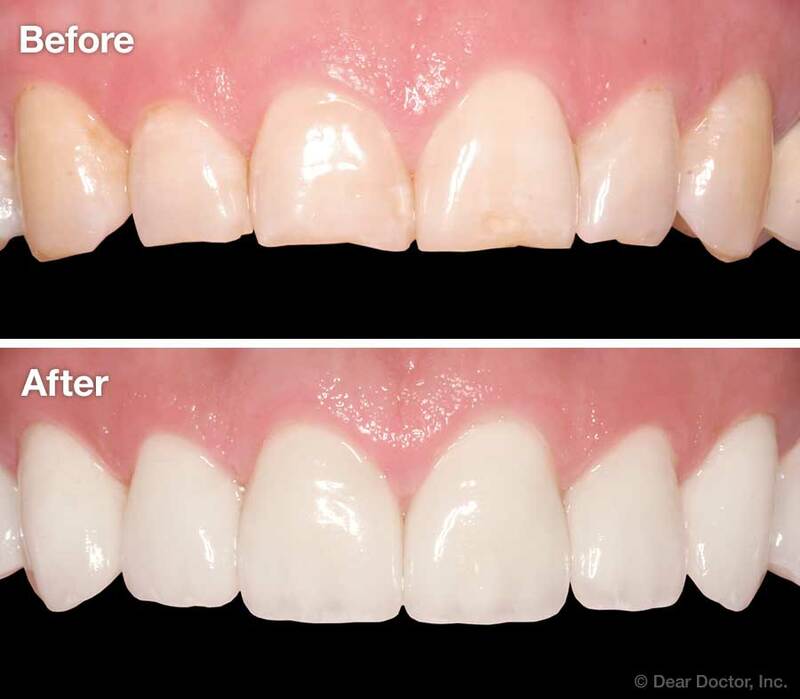 The veneers are bonded to the teeth for a permanent solution. Anyone who has damaged or misshapen teeth may benefit from the uniformity veneers offer. They help to reinforce teeth, close small gaps, and provide a uniform shape and size. On the other hand, people who have teeth that are severely crooked, crowded, or spaced far apart may benefit from other cosmetic dentistry services. Make sure to talk to your dentist about which options fit your needs. Although veneers can be a permanent fix, you need to make sure they are cared for properly. Hard foods and candy could cause the thin shell to come loose from the natural tooth. It is also important to brush and floss your teeth twice a day and keep your regular checkups with your Diamond Bar dentist. By speaking with your dentist on a regular basis you can ensure your veneers are sitting on your teeth properly and don’t require maintenance. As with any cosmetic dental procedure, you should consult with the doctors at Furumoto Dentistry to determine what course of treatment will help you best achieve your oral health goals. 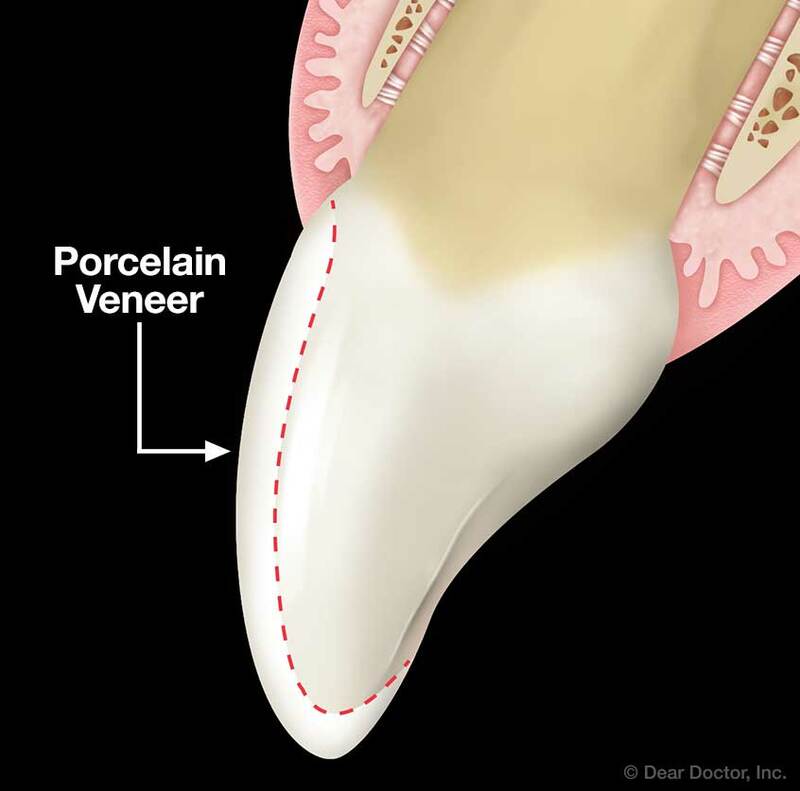 Porcelain veneers are a great option for beautifying a smile, but they may not be the best solution for every patient. Contact our office today to learn more about veneers and how we can help improve your smile today.